First Grade Garden: Getting ready for Christmas! First up... Farley's Currently! Link yourself up at Oh' Boy 4th Grade and don't forget the rule or three. Second... Christmas is in the air! I put up some Christmas decorations before leaving school on Friday. Even Pete the Cat, Pigeon, Gerald, and Piggie are sporting some Christmas hats. The bf and I started our Christmas advent calendars... yum! Our house has lights and some presents are wrapped. Just need a tree to bring it all together! Third... We started our gingerbread study this week. I love reading all the varieties of stories and filling in this chart from Mrs. Jump's Gingerbread Man unit. We read Mrs. Jump's adorable gingerbread emergent reader (free here). Instead of the students drawing themself eating the cookie, I made a large-sized gingerbread man and took their picture "eating" the cookie. The pictures turned out so cute and the kids loved seeing themselves at the end of the book! And last... 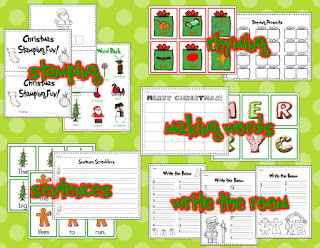 I created two new Christmas units for my TpT store. 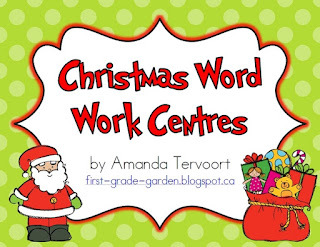 The first one is a pack of five word work centers that I plan to use during our Daily 5 time. 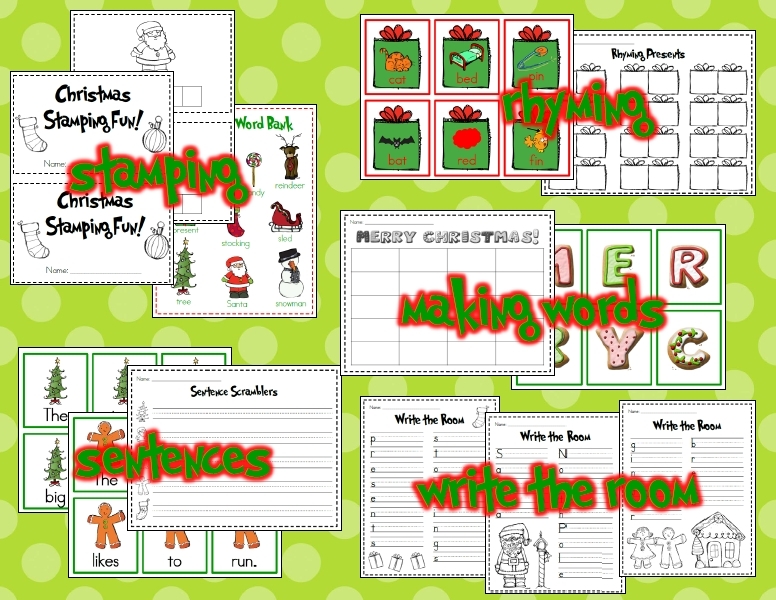 There is stamping, rhyming, sentence scrambling, making words, and writing the room. Click the picture to check it out at TpT. I am super excited about the second unit. 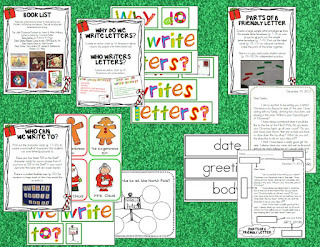 It is a letter and postcard writing unit I will be using during Writer's Workshop. 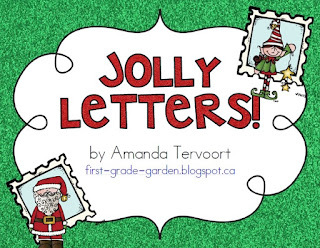 I plan to read "The Jolly Christmas Postman" by Janet Ahlberg. 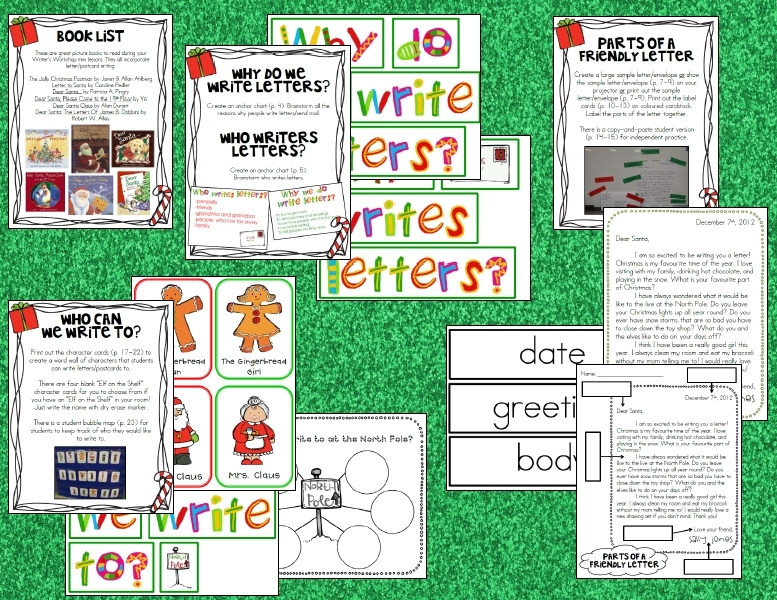 The unit contains mini lessons such as why we write letters, who writes letters, parts of a friendly letter, who to write to, what to write about, parts of a postcard, and how to write postcards. 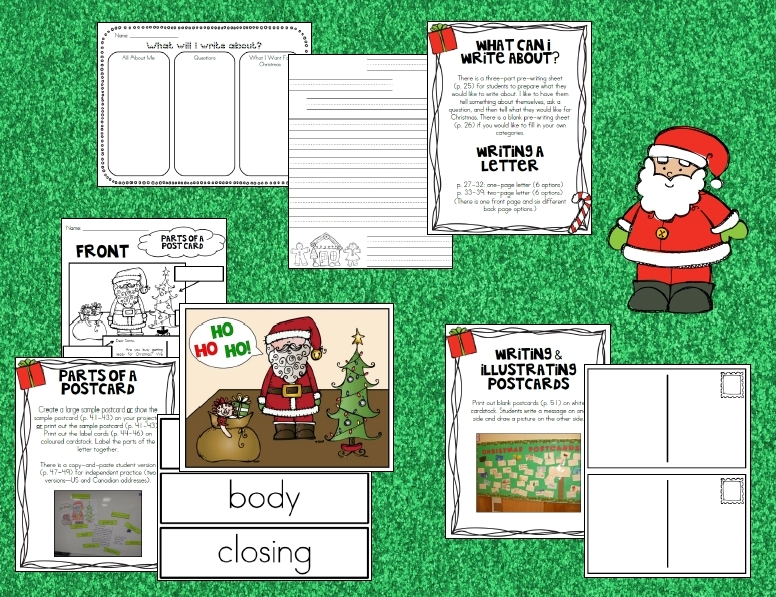 You can use this unit in many ways.... writing letters to Santa (or other North Pole friends), sending postcards to your classroom "Elf on the Shelf", or using it as a reader response and writing a letter/postcard to a story character (ie. Olive the Other Reindeer or Rudolph). Click the picture to check it out at TpT. I am having a HUGE giveaway for 12-12-12 called It's Your Lucky Day and would love you to stop by! It's been a while since I watched Brave, I just may have to pull that DVD and watch it! I breathed a HUGE sigh of relief when my conferences & report cards were done! Also, I would love some fresh eyes to read over my newest pack: Building STAR Readers - Study Think Ask Respond...hop over and let me know if you're interested. I still haven't seen Brave yet - might be on the to do list for next weekend or Christmas break. I am your newest follower from Currently! I am absolutely loving everyone's RAK. It just makes me smile at all these great ideas! Oh, and jealous that you're finishing up your shopping! I went and saw Brave last year on my birthday, I love that movie. Your units look great, thanks for sharing. Good luck with your Christmas shopping...that is my goal for today, to make a dent in my list! I have yet to see Brave . . . we have a toddler and a baby and have given up on movies for the next couple years! Love your RAK! Wish I could be behind you! I need to see Brave! I can't remember the last time I watched a movie. Pathetic, I know. Hope you get your tree this week! I'm SO impressed that you're almost finished your Xmas shopping! I haven't even started. I love the ending to your gingerbread book. I'm pinning that and your big house with the story elements. Love your idea of taking a picture of each student pretending to eat the gingerbread cookie! Really cool!